There were three COLA bills and three “13th Check” bills that were written, but only HB 1534 the traditional “13th Check” bill cleared both houses and was signed by the Governor on April 20th. The “13th Check” was funded at its normal amounts for two years in the budget which we believe is the first time that has happened. HB 1534 passed unanimously out of the House and on a 49-1 vote in the Senate. Only Senator Kenley voted against the bill. HB 1467, the Defined Contribution Option bill for new educators, passed through the House mostly on a party line vote. It met more opposition in the Senate and passed on a delayed vote 26-24, with one senator changing his vote in the middle of the delay and the last two Senators that delayed the vote, voted yes. Representative Carbaugh, who authored HB 1467, was not pleased with the two amendments that the Senate Labor Committee added that stripped the bill of some flexibility. The three year flexibility was the only portion we liked about the bill that had very few positives and we were opposed to the bill overall. Representative Carbaugh took the bill to Conference Committee hoping to have the bill redeemed to its original language. He was not able to accomplish that, so the bill died in Conference Committee, or so we thought. The following week we find out in the last 2 days of the session that the language of HB 1467 was placed into the Budget Bill behind closed doors. This is done after any public testimony can be given or able to find an updated version of the 165 page bill. The Budget Bill passed, so in the future new teachers will have to choose between the Hybrid Pension system that we are all under or a 401K style retirement plan when they sign their first contract. Many legislators were unaware that this language was included in the Budget Bill when they voted on it. After sitting in the Indiana Public Retirement System board meeting this past week, it was stated that the pension option will most likely become effective after IRS approval for the 2018-19 new hires. IRTA plans to develop educational materials to inform future teachers of the option they will now have to make informed decisions about their retirement pension choices. Senate Bill 46 covered various pension matters. We supported this bill and the pension matters that effect retirees. One benefit this bill allows is for educators to retain all or part of the money in their annuity savings account. They may choose to take one or more distributions of their annuity at any amount level. In the past you had to either take it all at once, roll all of it into your pension, or leave all of it in the annuity. This allows you the option to divide your annuity up and take it in the manner and amount you prefer. Another part of SB 46 will help a few of our oldest members. The ASA annuity will be excluded when calculating the minimum pension benefit which will allow a few retirees to have a slight increase in their pension amounts. 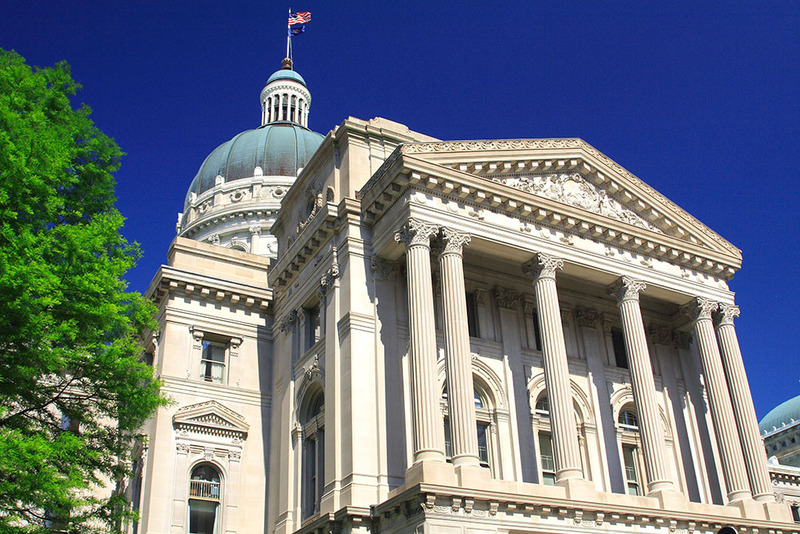 The bill to make the Superintendent of Public Instruction an appointed position beginning in 2025 passed with the inclusion of language that the superintendent preferably resides in Indiana for at least two years prior and has some educational experience. The ILEARN bill which will replace the ISTEP testing is now to be implemented in the 2019-20 school year. It will be administered only once later in the school year, probably early May. At this time they are leaving test choice or development of the test in the hands of the state superintendent and state board of education. Teacher evaluation is still part of the testing program, but federal regulations do not require this anymore and Supt. McCormick is opposed to having test scores be part of the evaluation system for teachers. Hopefully in the coming year there will be further discussion to remove testing results out of teacher evaluations. Pre-K received an increase in funding which will expand offerings to more counties and students in the state. Overall education received very modest increases in overall funding for the next two years in the state budget. Late this summer and early fall when the Pension Management Oversight Committee (PMOC) meets to study pension issues we will be working with legislators on ways to fund a supplemental COLA reserve account to enable us to find a way to fund a COLA and increase the “13th Check” for retirees. We will also be looking at the possibility of state tax credits for retirees similar to what our Military Veterans were asking for this year in the legislature, but did not receive. During these PMOC meetings we will be pushing back against ideas that we are sure will appear in some form. Many of these ideas were in bills that never gained traction in the legislature this year. We will fight against the gradual transition from the “rule of 85” to the “rule of 90” for future retirees. We will be against making the Defined Contribution Option the default option if a new teacher doesn’t make a choice. Steve and I would like to once again thank you for your support of our efforts at the State House. Without your letters, emails, calls or personal contact, we would face a nearly impossible task with the legislature. We hope you found the podcasts informative, the Call to Actions timely along with our Facebook posts. A special thanks to the members who journeyed to the State House in April for our Legislative Brunch. We had over 100 members in attendance and felt that we had a better turnout of senators than we have had in the past. Our representative visits were cut a little short as they went into session at 10:30 p.m.